The winner of Miss World Turkey 2017 title has been stripped of her crown hours after winning the Miss Turkey 2017 pageant. The culprit: a twitter post. 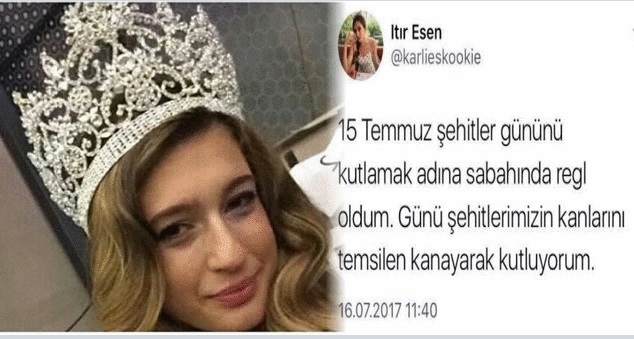 Itir Esen, an 18-year-old English Student, had her crown taken away after the pageant organization discovered her harsh tweet posted last July. 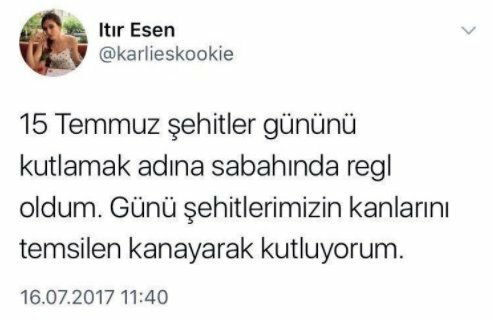 The tweet was posted around the first anniversary of the 15 July coup attempt, when nearly 250 people died fighting government's army. Itir denied the social media account was hers but after a thorough investigation, the tweet was from her legit account. With Itir's out, the Miss World Turkey 2017 will now belong to Asli Sumen who previously named as Miss Universe Turkey. She will now represent her country at the Miss World 2017 competition in China on November 18. Miss Supranational Turkey 2017 Pinar Tartan is now Miss Universe Turkey 2017! She earns the right to represent her country at the Miss Universe 2017 pageant in Las Vegas, Nevada. Meanwhile, Miss Turkey 2017 finalist Yasemin Coklar was appointed as Miss Supranational Turkey 2017. She will fly to Poland for the Miss Supranational 2017 competition.